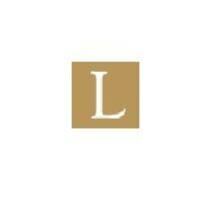 At Lindell Law Offices, PLLC, in Washburn, North Dakota, business law is one of our primary focuses. Whether our clients are starting their own businesses or expanding existing ones, our attorneys' 100 years of combined experience assures them that we can, and will, focus on their success. Our attorneys are dedicated to client service. Consequently, we never treat our clients as cases or numbers. Instead, we take the time to get to know our clients, listen to their issues and goals, answer all their questions, and advise them of all their options so they can make informed decisions. Then we devise a strategy to best achieve their objectives. Lindell Law Offices, PLLC, offers free initial consultations and accepts all major credit cards for our clients' maximum convenience in paying our reasonable and competitive legal fees.